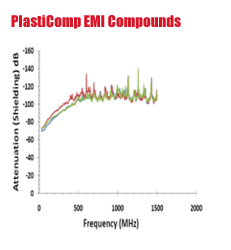 WINONA, MINN., USA — PlastiComp, Inc., has formulated long-fiber thermoplastic materials (LFT) that provide up to 70 dB shielding in the megahertz and higher frequency ranges. 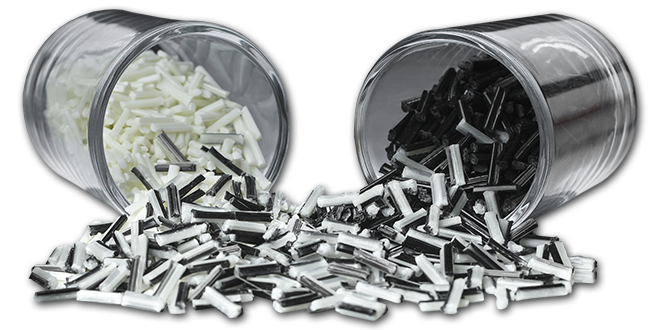 These materials were developed for parts and enclosures in consumer electronics. PlastiComp’s Chief Operating Officer, Eric Wollan described industry practices for shielding materials. 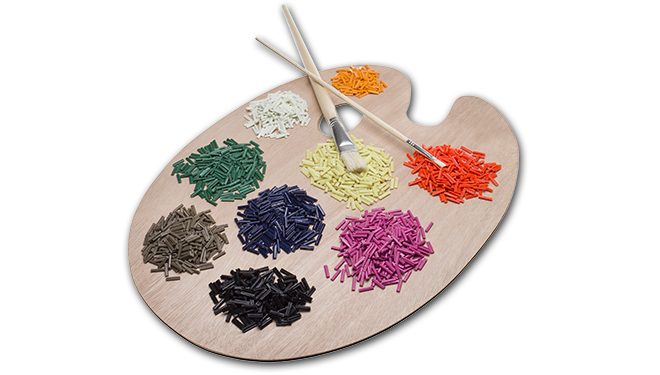 Traditionally, engineering thermoplastics are painted with conductive films or filled with conductive and metallic additives to provide electro-static dissipation (ESD) and electro-magnetic interference shielding (EMI). Naturally conductive carbon fiber is a popular additive. To increase shielding efficiency, carbon fibers are often coated with metals such as Nickel. However, these materials only achieve EMI shielding efficiencies in the 30 to 40 dB range. Moreover, the reinforcing carbon fibers lose mechanical properties and shielding efficiencies drop precipitously with the lowering of part sectional thicknesses. Altogether, additions of specialized Nickel-coated carbon fiber and secondary operations involving conductive paint are cost-prohibitive. PlastiComp was approached with a unique set of requirements for EMI applications. These parts had to possess a stiffness of 35 GPa or higher, provide 50 dB or better EMI shielding and possess a surface resistivity of 5 ohms/square, or lower. There were restraints on unit costs, as well. Thicknesses varied in part sections and were 1.5 mm or less. To meet these challenging requirements, PlastiComp chose a systemic approach that included structural and mold flow analyses to select a long carbon-fiber nylon that was tested to 50-70 dB shielding effectiveness. The retention of long fiber lengths in these thin parts and proprietary additives were principally responsible in creating a conductive network of the reinforcing fibers, thus affording the high shielding effectiveness, as well as the high stiffness.